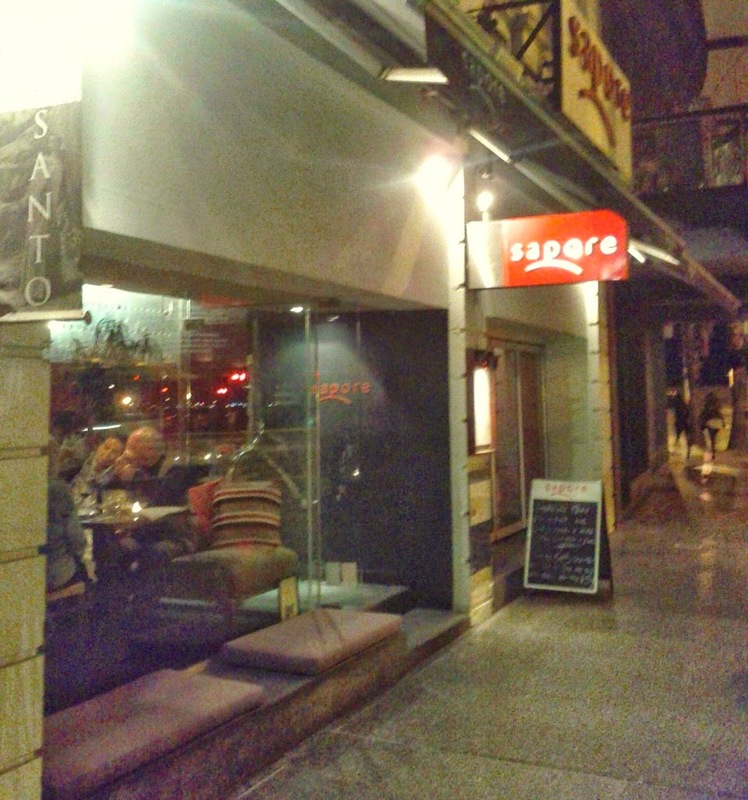 We visited Sapore at the beach end of Fitzroy Street after booking on via dimmi special offer. It was dark on the evening we visited, but during the dayor at sunset the views across the bay would be great. Approaching and entering the restaurant the frontage seemed small, due to the large pillar in the middle of the building, which contributes to part of an interesting architecture. Inside, the walls and ceiling are almost all curved, with the central column merging into to an oversize beam. This creates an interesting space, which is painted in strong colours. 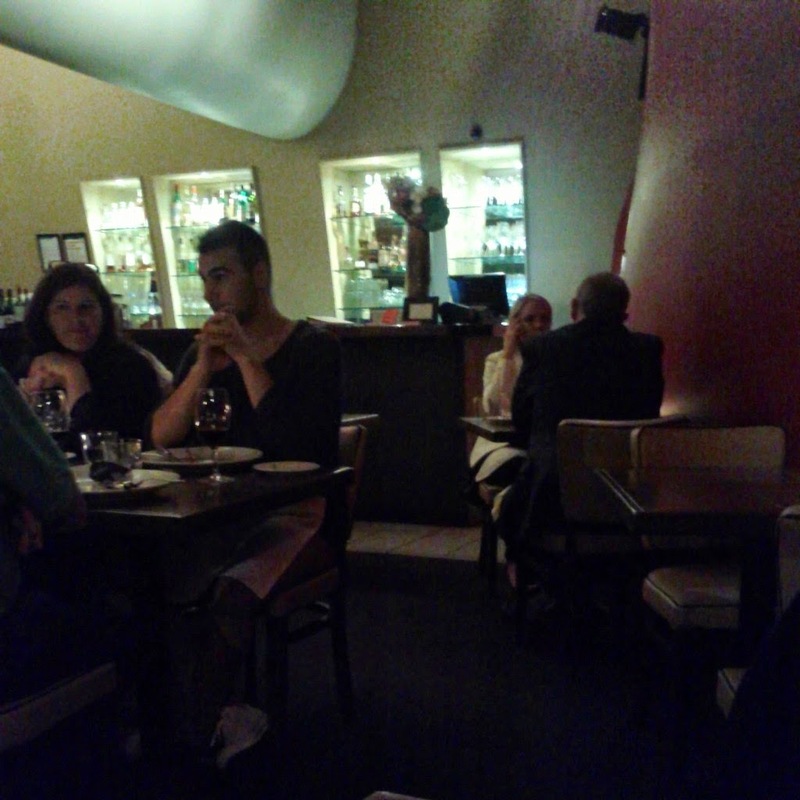 The tables are reasonably closely backed and there were a fair number of diners seated for a Tuesday night. The Autumn menu was distinctly Italian featuring plenty of seasonal locally sourced produce. While we enjoyed our drinks we were offered freshly baked bread rolls with great olive oil, and a few olives. 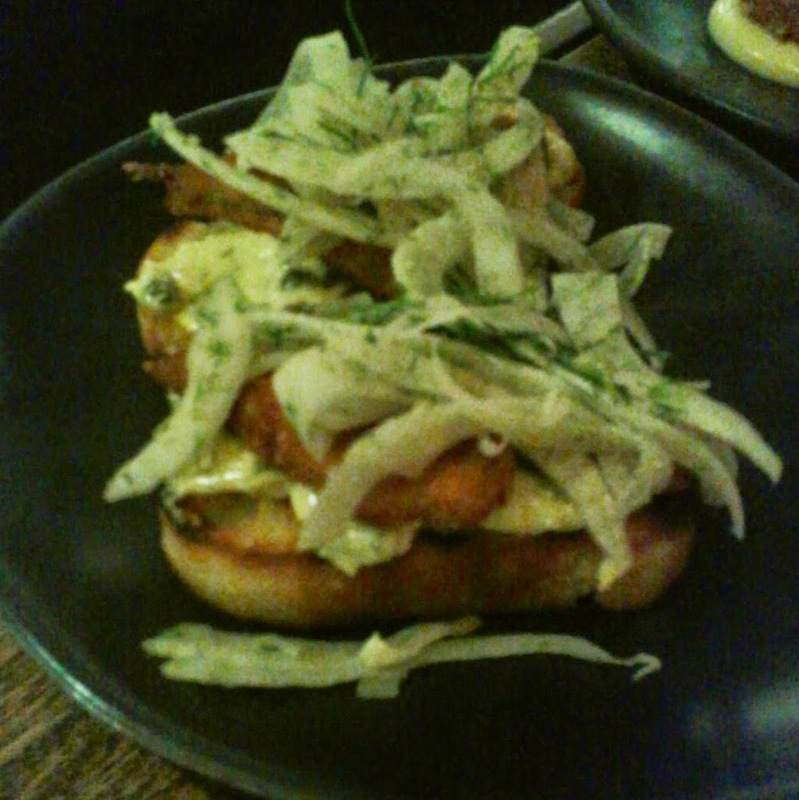 We shared the crumbed South Australian sardines, tartare sauce and shaved fennel bruschetta, the strong flavours combining beautifully on the toasted bread. 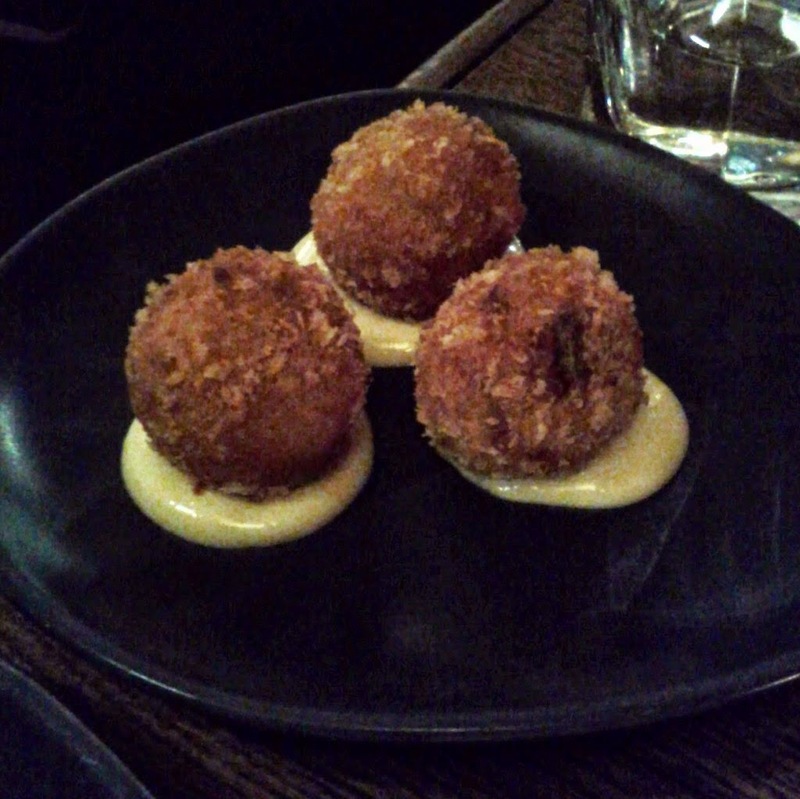 The arancini of the day, served on aioli, had a rich tomato led flavour, along with some cheese and ham, they stood out as some of the most original and enjoyable I've tried. 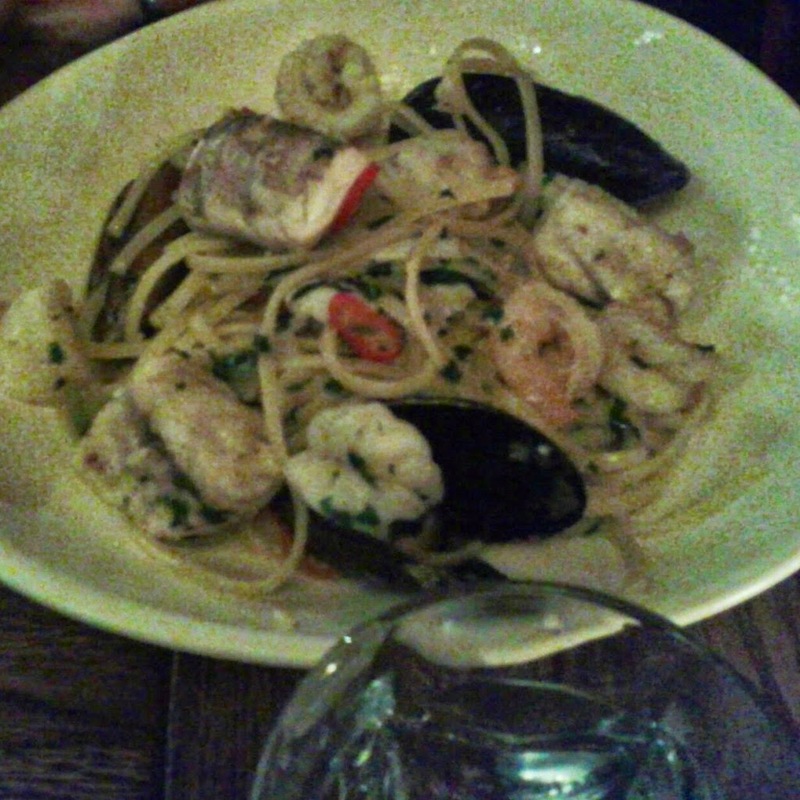 The seafood linguine was loaded with plenty of uber tender calamari, fish, mussels and prawns chilli and parsley. 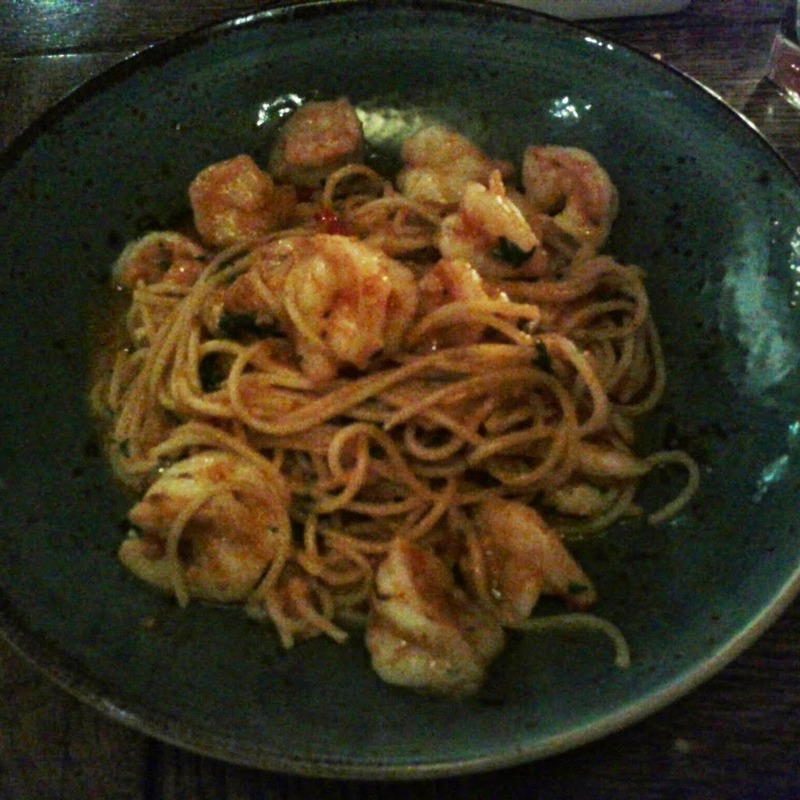 I had the special of gamberi spaghetti with a crab, tomato, basil and chilli sauce. The prawns were both plentiful and perfectly cooked, and the sauce complemented them perfectly and had a definite spicy kick. After the 50% food discount the bill came to $70, (the 3 drinks we'd had were full price), for the quality of the meal, that was amazing value. The service was great, all the staff were friendly, knowledge and attentive, with out getting in the way. Sapore is well worth a visit, especially if you can nab a special deal!